Friendly staff and doctor osterholt is awesome!! Dr. Rust was incredibly welcoming and professional. I am new to Ohio and your clinic and am very happy with my experience. Will absolutely be continuing care here. Thank you. Doctor did not rush in and out. Took the time to listen and reccomend options. Would highly recommend. He's been my doctor for over 10 years, I've had nothing but the best care the entire time. He is my favorite obgyn always a wonderful experience with him! Everyone was so nice and compassionate when I went in for surgery. The Dr took good care of me and I was in and out in a reasonable amount of time. Always a great experience, always answers any questions I might have. The staff is nice, times might be a little long sometimes but when the office is one of maybe 3 in Springfield you will have that. 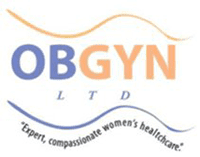 I love OBGYN Ltd.
Dr. Off gave me the information I needed. He was gentel, kind and patient with me. McNeely is a great doctor ! Everyone in the office is so friendly, caring, and professional. I absolutely love this place.